When we talk of love, we talk of the whirlwind feeling that it brings with it, the butterflies, the fluttering when we feel their presence around us and so on. Love is an incredible thing and truly one of the most wonderful things that the world has to offer. Falling in love has always been talked of in literature, movies and songs but sometimes we forget to talk about the arguably more fulfilling aspects of being in love, which are being in love and doing things for love. People always say that it is the thought that matters but sometimes when one shows love through their actions, it brings two people involved even closer. History shows that people have done a great deal in the name of love, for, haven’t you heard of the Taj Mahal? One of the Seven Wonders of the World, TajMahal was built by Shahjahan, a Mughal king as a tribute to his love for his wife, Mumtaz Begum. Today, it is one of the biggest symbols of love. People say that these things existed back in those days but is that completely true? Agreed that there has not been another Taj Mahal since the first one but romantic gestures are not dead. From big proposals to people riding their bicycles for six thousand miles, all of it still happens. 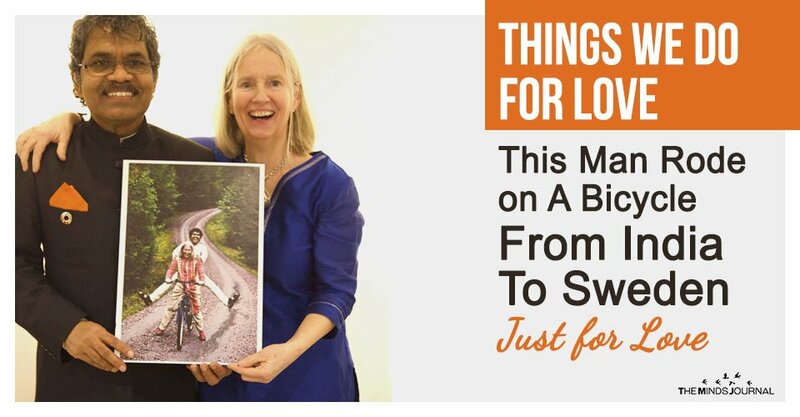 If the latter part of the sentence above got your attention and you want to know that story, you are in luck because I am about to tell you the story of the man who rode a bicycle to Sweden from India to marry the love of his life. Sounds like something out of a fairytale doesn’t it? Lend me the opportunity to tell you the story, grab some popcorn and some tissues, your sappy side is about to surface! We are going to go back to 1975, where it all began. 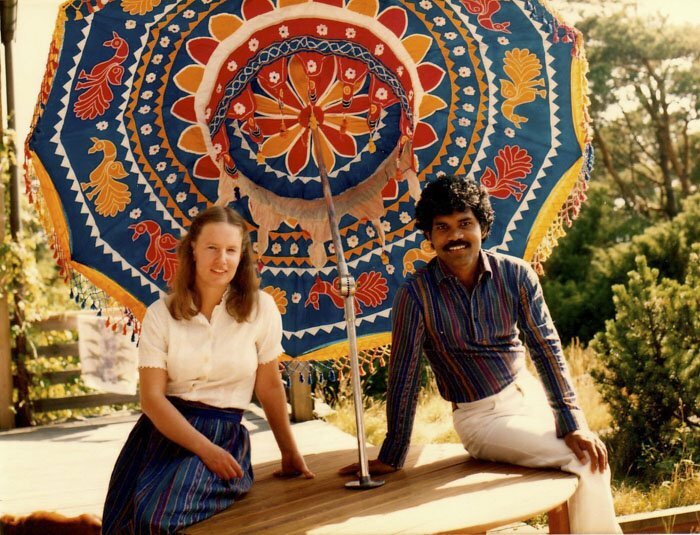 Dr. Kumar Mahanadia Pradyumna travelled through eight countries to be united with his wife today, Charlotte van Schedvin who was a student when she had met her future husband during a trip to India, an artist with limited means, in 1975. Dr. Kumar was no ordinary student either. 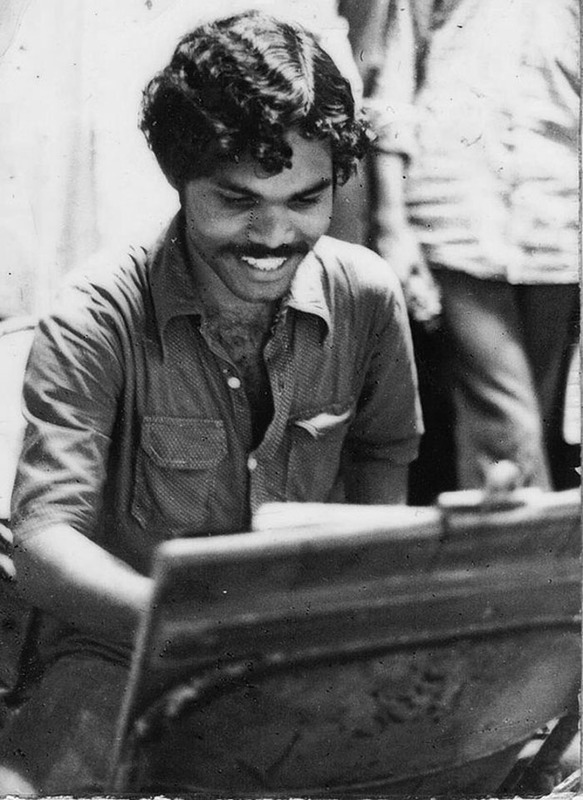 He was born in a poor family but thanks to his talent and skill, had managed secure a place at the College of Art in Delhi. They met and immediately fell in love. Dr. Kumar talks very fondly about how he had fallen in love with Charlotte because of how simple and pure she was. Like every great love story, theirs was not smooth either but that did not stop them. Both their families were vehemently against their union but they still got married and Charlotte, to honour her husband’s culture changed her name to Charulata. Things were going okay but in 1978, Charlotte had to go back to her homeland and she requested her husband to go away with her. Dr. Kumar could not join her immediately owing to his education not being complete and promised her that he would come to her the day he would have his degree. Charlotte left and all the couple had between them were letters sent back and forth because, well, they did not have WhatsApp back then. Even in her letters, Charlotte told him that she would send him tickets for him to come be with her but Dr. Kumar was adamant. He would meet her only using his own means. He would not accept any financial help. He continued with his degree back home and she supported him emotionally, while terribly missing each other, but never giving up on each other. Things had definitely not been easy but it was their love that got them through everything. Letting go is always the easier thing to do but to keep holding on is a feat that only true love can achieve. As soon as Dr. Kumar was done with his studies, he knew he had to go see Charlotte; he had been away from her way too long. He had to do something about it and he had to do it fast. He sold everything that he owned to buy a bicycle and he decided that he would ride his bicycle to Sweden, no matter how long it took. He soon set off and from Delhi he rode through eight countries, namely, Afghanistan, Iran, Turkey, Bulgaria, Yugoslavia, Germany, Austria and Denmark.